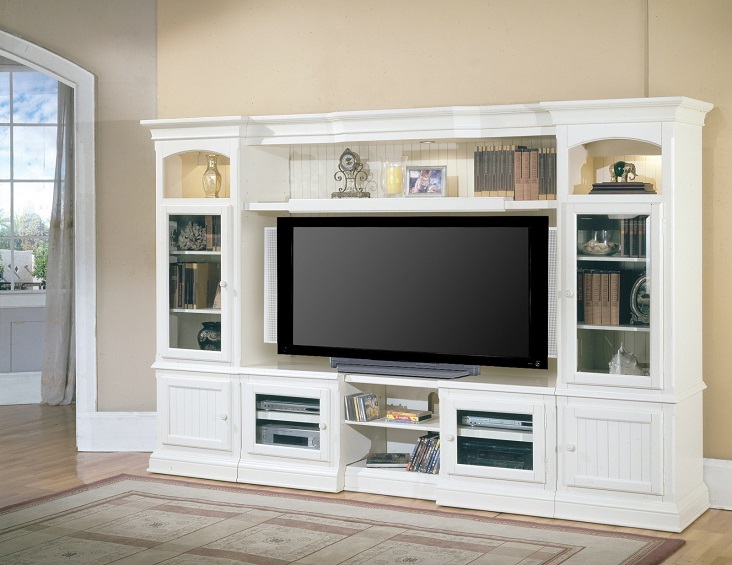 The Hartford Expandable Entertainment Wall (TV's 48" up to 72") features classic elegant look and a host of striking features. 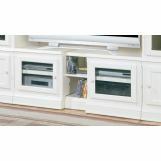 An ability to expand from 48" to 72" console base, making it ideal for medium to larger sized flat panel TVs. The beach cottage style is full of ornate detailing, and is highlighted with beveled glass doors and a 3-way dimmer can lighting in the side curios and open bridge. 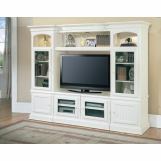 This solidly constructed piece is a great way to enhance most any decor with beauty and function.